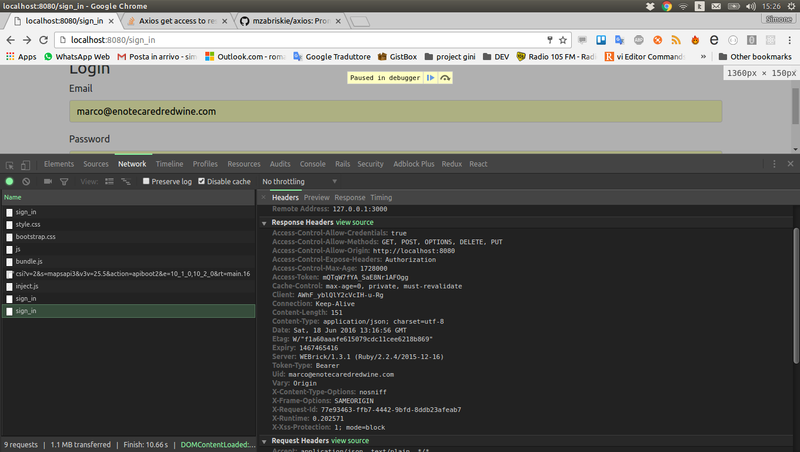 I am using axios for basic http requests like get and post, and it works well. Now I need to be able to download excel files too. Is this possible with axios. If so does anyone have some sample code? If not what else can I use in a react application to do the same? 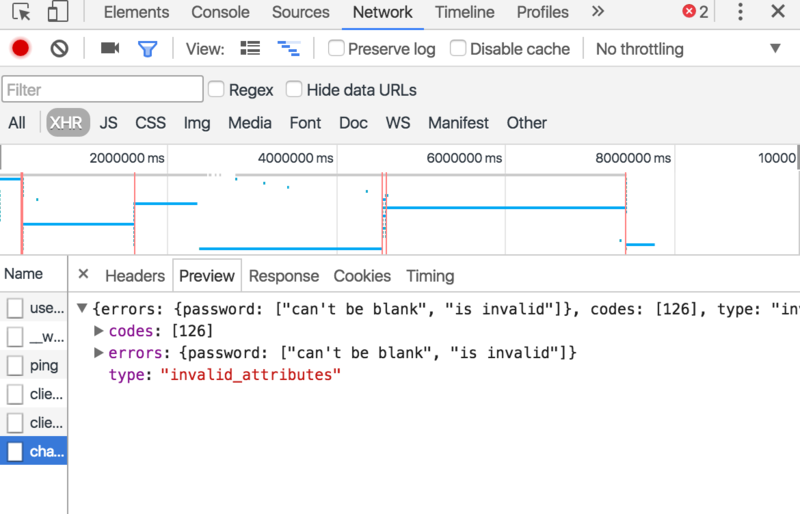 How can I get the status code from an http error in Axios? This may seem stupid, but I'm trying to get the error data when a request fails in Axios. How do I set multipart in axios with react? This doesn't work for some reason. I am trying to do the same thing in axios. Is the approach to set these form params on the post request correct? Here my browser network tab,as you can see all the other fields are present. How to catch and handle error response 422 with Redux/Axios? I have an action making a POST request to the server in order to update a user's password, but I'm unable to handle the error in the chained catch block. When I check the network tab I can see the response body, but for some reason I can't access the values! Have I unknowingly made a mistake somewhere? Because I'm handling other errors from different request fine, but can't seem to work this one out. The proxy servers I am using are all in the United States, highly anonymous, with support for HTTP and HTTPS. This totally works just fine. How do I configure axios to work with proxies and https URL's? edit2: https://stackoverflow.com/a/37784969/107282 suggests that I needn't worry because it doesn't happen when on a real device. I'm using Axios in a VueJS hybrid (Cordova) app and am calling an API. Axios is (correctly) doing a 'preflight' OPTIONS request before my GET/POST requests, but if the API returns a 503 at that point, my error handling code doesn't get called. How do I catch this error status? Its returning a 401 Error. When I do it with Postman there is an option to set Basic Auth if I dont fill those fields it also returns 401 but if I do the request its successfull. Here is part of the docs of the API of how to implement this: This service uses Basic Authentication information in the header to establish a user session. Credentials are validated against the Server. Using this web-service will create a session with the user credentials passed and return a JSESSIONID. This JSESSIONID can be used in the subsequent requests to make web-service calls. I have a react/redux application that fetches a token from an api server. After the user authenticates I'd like to make all axios requests have that token as an Authorization header without having to manually attach it to every request in the action. I'm fairly new to react/redux and am not sure on the best approach and am not finding any quality hits on google. // here is where I believe I should be attaching the header to all axios requests. // i would remove the header from all axios requests here. My token is stored in redux store under state.session.token. I'm a bit lost on how to proceed. I've tried making an axios instance in a file in my root directory and update/import that instead of from node_modules but it's not attaching the header when the state changes. Any feedback/ideas are much appreciated, thanks. I've read all the related issues on SO and GitHub about this error and none of them seem to address this situation. This issue happens with every request - it is not intermittent. Here's the interesting part - I can only seem to reproduce this problem reliably when I am hosting the server locally. I am able to reach the dev instance or run the server in vagrant, via a docker container, without issue. I've tried messing around with these settings with no luck. I'm building a really easy api and react-native application. The server works well (tested with PostMan) but the application doesn't call the server. It blocks when axios has to send the post request (see below). The three console.log() before axios show the data in the correct way. SIGNIN_URL is exactly the same I use in postman. ...but axios doesn't call. but even this didn't work. hope somebody can help me. Other similar issues didn't. I'm using vuejs 2 + axios. I need to send a get request, pass some params to server, and get a PDF as a response. Server uses Laravel. makes successful request but it does not start force downloading, even though server returns correct headers. I think this is a typical situation when you need to, say, form a PDF report and pass some filters to server. So how could it be accomplished? However, now my post calls don't work as expected, and Vue.http.post throws an error.